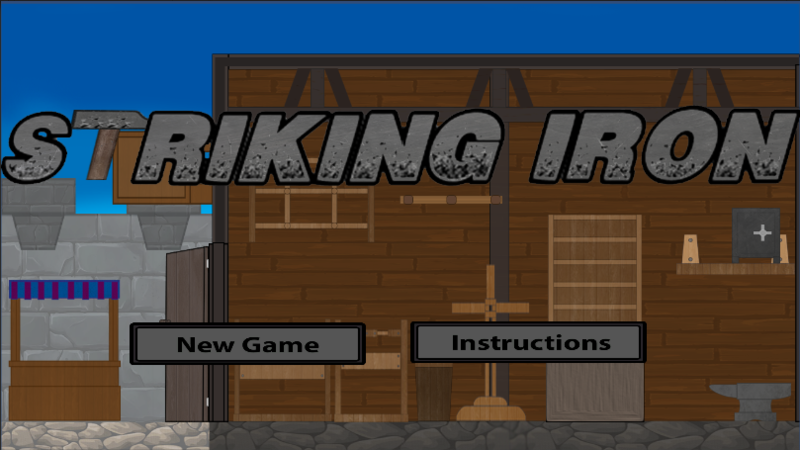 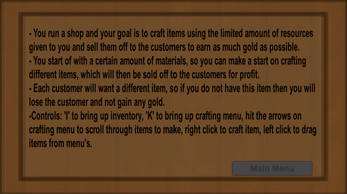 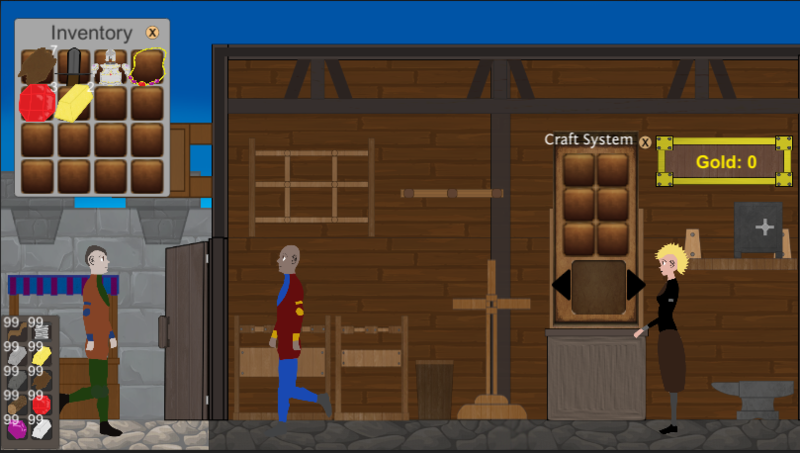 This game is a store management type game where you buy materials to use in the crafting system to make items to sell in the store to earn gold. 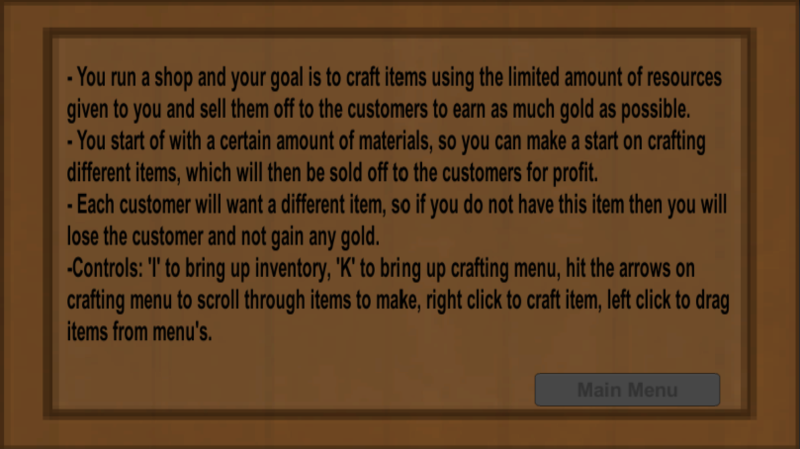 The customers will come in with a random item in mind which they will want , so if you don't have the item crafted then they wont make a purchase. 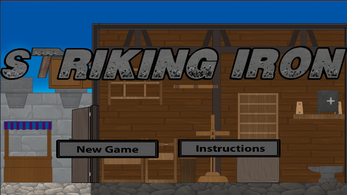 The goal is to make as much money as possible and if you run out of money its game over. 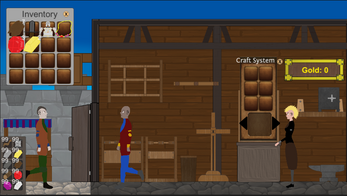 However due to time restraints the game is unfinished as the items cannot be sold at the moment.